In 1997, Paul Kohlman became ill, resulting in paralysis from the waist down. He was prescribed a Roho cushion for use in his wheelchair. After only a few weeks of using this wheelchair cushion, it failed and became completely deflated. Unfortunately for Paul, the Roho static air cushion had no way of alerting him of the cushion leak because the Roho did not have a low pressure alarm. To this day, after 46 years, the Roho wheelchair cushion still has no low pressure alarm. Because Paul, like so many other people in wheelchairs had no feeling below the waist, he was not aware he was bottoming out on a completely flat Roho cushion. The result of sitting on the flat Roho cushion was a Stage 4 pressure sore at the ischial tuberosity. The sore required two flap surgeries to repair and several weeks in bed for recovery. If the Roho wheelchair cushion had a low pressure warning device, Paul would have been instantly alerted that the cushion was flat and could have avoided the expensive surgery and painful recovery while confined to bed. This horrible incident led to the invention of the Aquila alternating wheelchair cushions by Steve Kohlman. Read more about this story below. 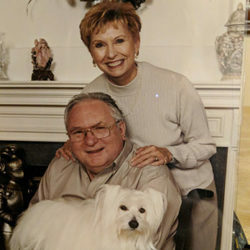 To Steve Kohlman, Paul’s son, it was obvious that his father needed a more effective and safer wheelchair cushion than what had been the industry standard for so many years. Steve decided to try and design a wheelchair cushion for his father that would provide essential pressure relief and also create a warning system should the cushion ever lose air. After several months of trial and error, the result was the design of an alternating pressure wheelchair cushion with a built in low-pressure audio and visual alarm. Steve named the cushion the Airpulse PK, in honor of his father, Paul Kohlman. Paul used the Airpulse PK cushion and experienced no further problems with pressure sores. Steve saw an opportunity to help many more wheelchair users with his new design and left his job as an Account Executive for FedEx to start Aquila. 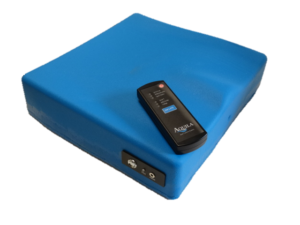 The Airpulse PK has been continuously improved since that first model built in 1999, and Aquila now proudly offers the technologically advanced Airpulse PK2 (APK2), SofTech, and SofTech Basic wheelchair cushions. The goal is, and has always been, to make it the most effective wheelchair cushion option for those at the highest risk of pressure sores. Over the past eighteen years, Aquila has made thousands of wheelchair cushion systems benefiting wheelchair users worldwide. Every cushion system produced is still customized for each client’s needs, just like the very first wheelchair cushion was for Paul Kohlman.